This ultra-low-budget Japanese film featuring a zombie apocalypse is very, very funny, and returns for a second run at The Projector. Word of mouth about the film was so strong when it premiered in Japan in November 2017 that it went on to make more than 250 times its budget of three million yen (S$36,500). In an abandoned building, a team of film-makers is trying to shoot a zombie movie. When a real zombie apocalypse occurs, the director of the movie, Higurashi (Takayuki Hamatsu), insists on keeping everyone trapped there and the cameras continue to roll. Swedish author John Lindqvist's novel Let The Right One In was turned into one of the best vampire horror films in years. This Swedish-language fantasy-drama, based on one of his short stories, has been receiving strong notices, including an Oscar nomination in make-up and hairstyling. Tina (Eva Melander, above) is a woman with an ordinary job in border security, but who possesses extraordinary powers - she can sense hidden emotions, a skill that she puts to good use in her job. All is well until she meets a man with the same scars and facial deformity that she has. 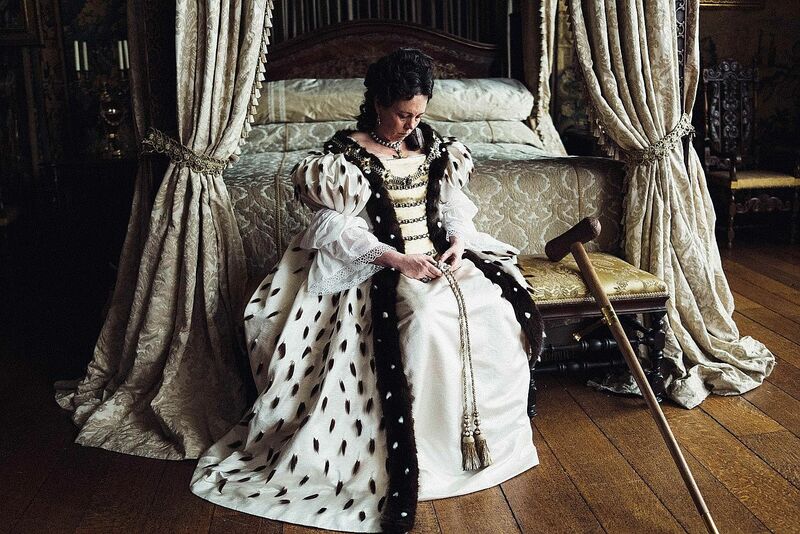 Olivia Colman this week picked up a Best Actress Oscar and her performance in this bawdy period comedy is only one of several reasons to watch it. Director Yorgos Lanthimos throws away the grand halls, costumes and soldiers to put the spotlight on two women fighting to manipulate a third. That there is a lesbian triangle at its centre is a secondary but important element in the mix. It is the early 18th century, and Queen Anne (Colman, above) is crippled by illness and grieving over 17 children, all stillborn, miscarried or dead in infancy. Her lover and adviser is Lady Sarah Churchill (Rachel Weisz), from whom she derives both confidence and guidance about Britain's expensive war with other European nations. Into the household comes Abigail Hill (Emma Stone), a woman from a decayed branch of the English aristocracy, who is taken in as a scullery maid. Winner of the Oscar for Best Documentary Short Subject this year, this film tackles the issues around menstruation in India, and what one group of women in a district outside New Delhi is doing to reduce the shame around the topic. It starts with creating a cottage industry to manufacture low-cost sanitary pads, reducing the use of cloths which are inconvenient and an agent of infection.